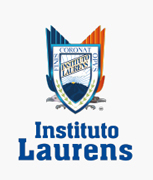 Instituto Laurens provides the youngest students the ideal environment for their skills development. We understand that children learn at their own pace, so we work closely with parents to support them in this learning journey. 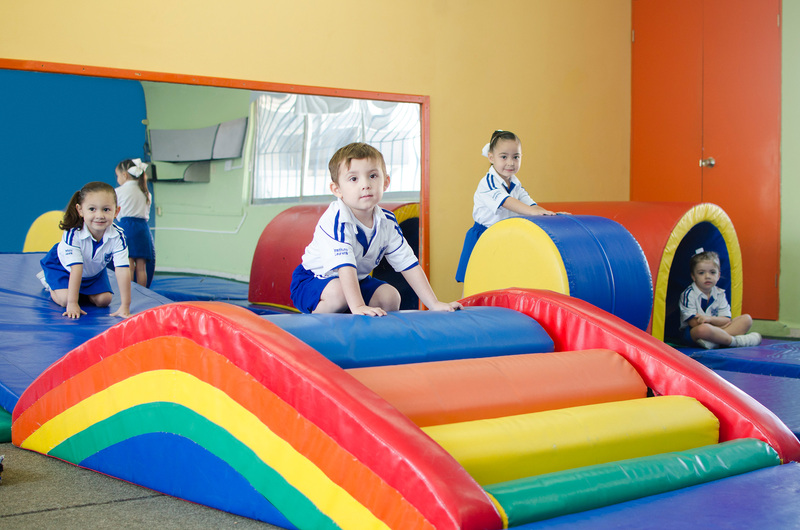 Our environment is specially designed to meet the needs of our little ones with air conditioned rooms, interactive white boards, independent restrooms for boys and girls inside the classrooms, a nurse, a Psychology Department, a neuromotor gym, a computer lab, music room, and play areas with synthetic grass. Visit Us! Schedule an appointment. Our main objective is to shape students who are able to cultivate their intelligence, develop their personalities, acquire knowledge, competencies, and skills for life as well as build on their values. 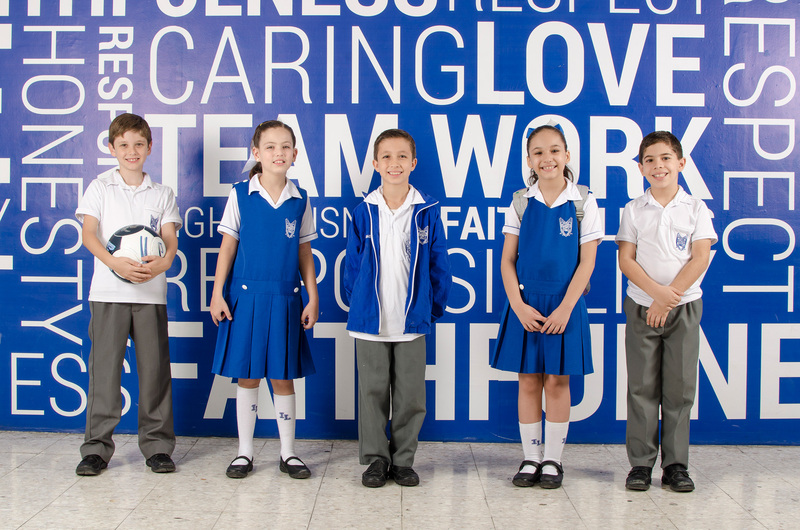 We guarantee that our students will enjoy learning and will succeed in school, resulting in happy students. We offer a complete stimulation of skills through classes and workshops such as art, music, computer, sports, and values. 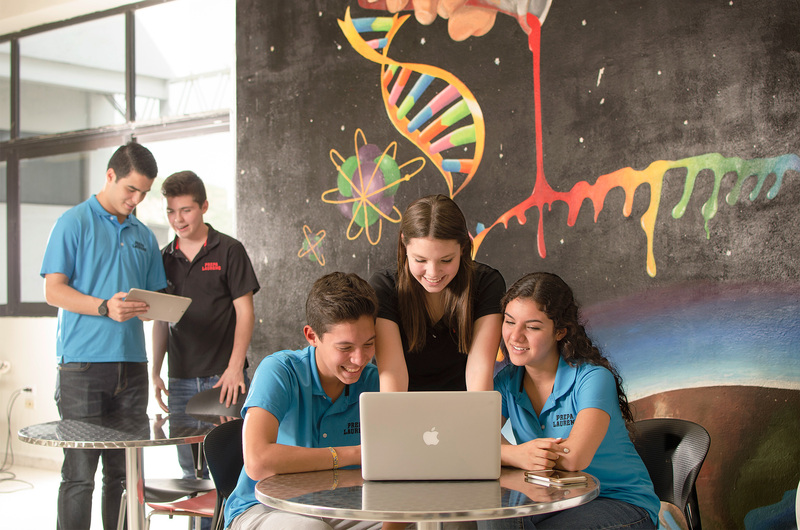 With highly qualified teachers and the best educational resources, we seek to guide young students through a complete education in a bilingual learning environment (English-Spanish) allowing them to face the global challenges of modernity. Sports, Robotics Lab, Performing Arts, and French as a third language are also integrated into the academic program. Our students also participate in collaborative projects to benefit the community, developing and forming their character through these activities. We know how important it is to choose the best place to study high school since this is a key step to get into college. 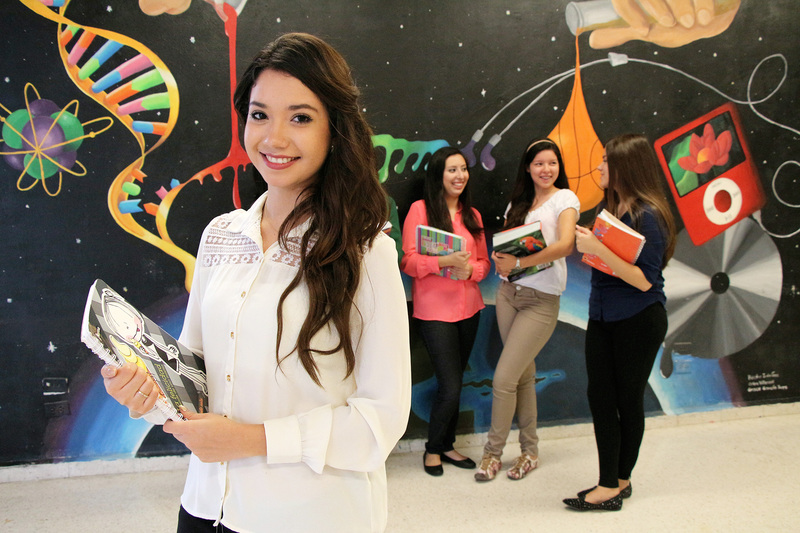 Laurens High School, incorporated to Universidad Autónoma de Nuevo León (UANL), gives you the benefits of a private school with the advantages of a UANL school; which gives you the opportunity to enter any UANL college without extra fees and the academic preparation to enter any national or foreign university. Join us and discover why we are your best option. This program is intended to contribute in the students’ development to use the skills and tools that will enable them to join any university in Mexico and abroad. This program seeks to train students on four areas: Mathematics, Language and Communication, Science, and Social Studies; so they can successfully face their upcoming studies. Why choose Laurens High School? Our purpose is to form professionals committed to the educational development of the country, with the ability to analyze, evaluate, and suggest study plans and programs, applying knowledge of different pedagogical currents. 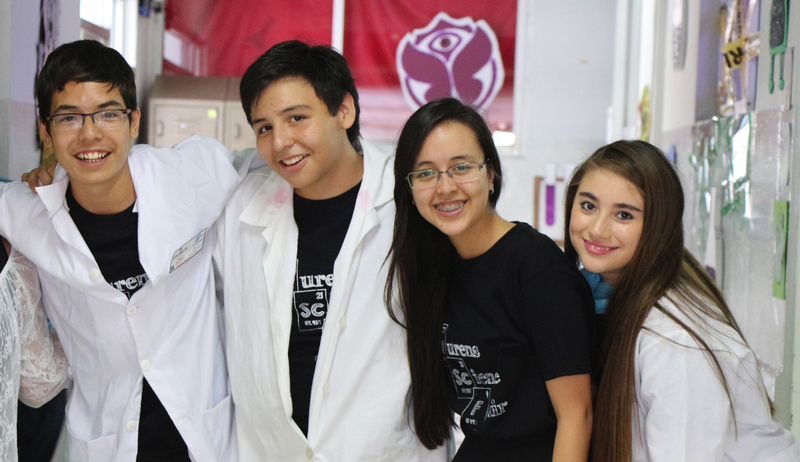 Why study at Instituto Laurens? • Admission exam not required. • Incorporated into Ministry of Education (Secretaría de Educación). • Major in preschool, elementary, or junior high education. • Summer courses in USA. • Agreement with Tecnológico de Monterrey to apply for a Masters Degree in Education. • A high level of English is not required; we will train you. You may work as a teacher as well as in academic positions in bilingual (public or private), national, and foreign educational institutions. You may also be employed at centers of pedagogic consultancy or offer diverse educational services, such as English as a second language or other courses in English. Being more entrepreneurial, you could open your own educational center.